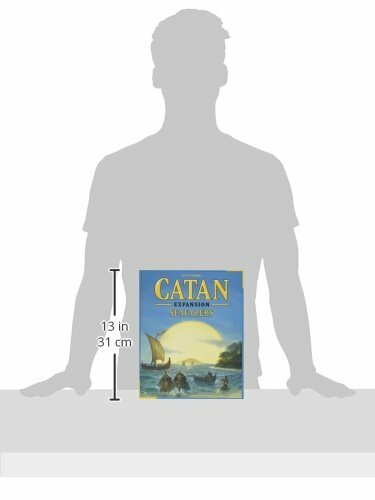 Enter the sea around Catan! 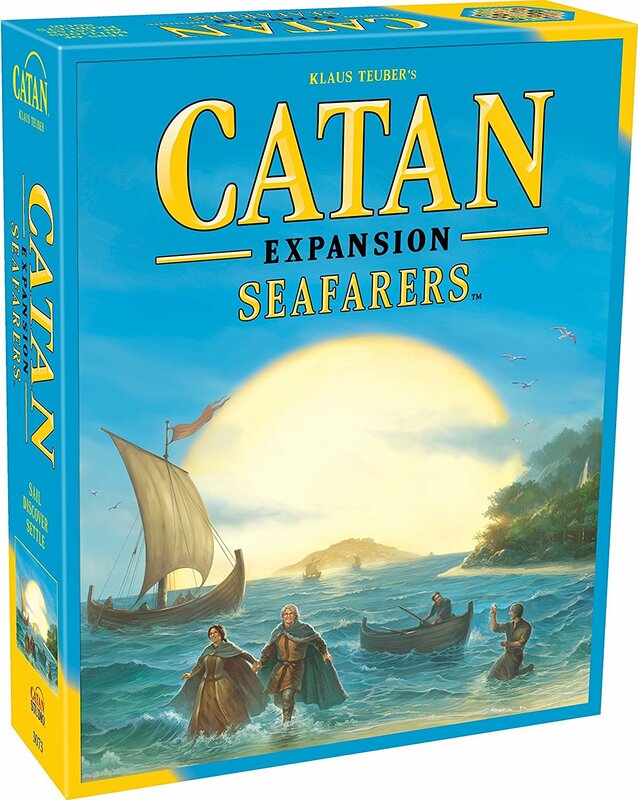 Produktinformationen "CATAN - expansion Seafarers english version"
In Catan: Seafarers you control a group of bold seafaring settlers exploring and taming the wild, uncharted Isles of Catan. Each game brings you to new seas and new lands. You might even discover the precious gold fields (a very valuable new terrain). Every game is unique and full of fun! Embark on an epic quest to settle the home island, build ships, and chart nearby waters. Guide your brave seafarers to victory through cunning trades and wise development. Be first to create new sea lanes and settle the newly-discovered isles. The best strategy and a nice dash of luck decide who will be the undisputed ruler of the rich Isles of Catan! A game expansion for 3-4 players. Capture the adventure of seafaring, exploration, and trade. 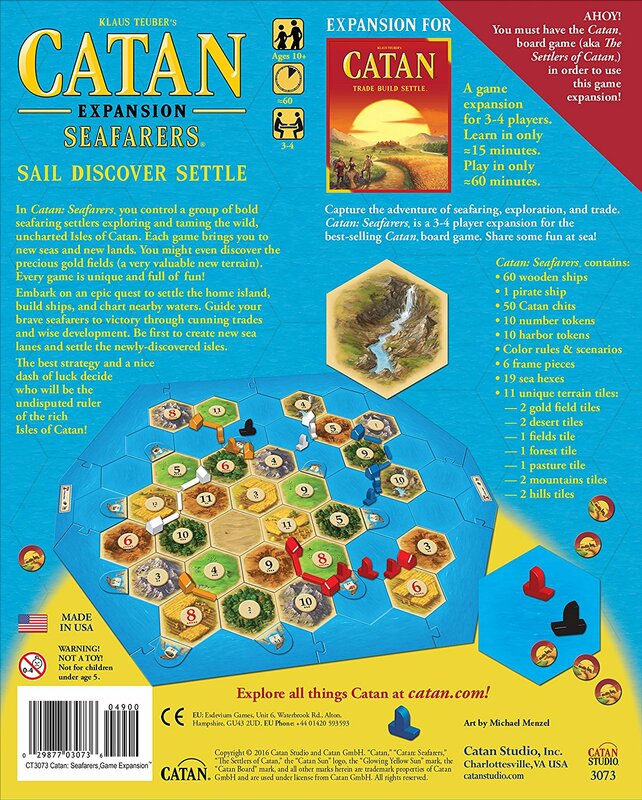 Catan: Seafarers is a 3-4 player expansion for the best-selling Catan board game. Share some fun at sea!